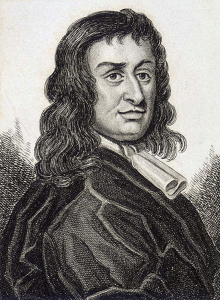 Above: Col. Thomas Blood—he switched sides during the English Civil War and gained a reputation for intrigue and espionage. Irishman Col. Thomas Blood stole the Crown Jewels of England from the Tower of London. Having switched sides during the English Civil War, during which he gained a reputation for intrigue and espionage, Blood lost most of his lands with the Restoration and thereafter conducted a terror campaign against the Stuart establishment. None of his operations were remotely successful. A conspiracy to take Dublin Castle and stage a coup d’état was easily foiled, forcing him to flee to the Continent with a bounty of £1,000 on his head. A year later he reappeared in a kidnap attempt on the duke of Ormond in London, which was also unsuccessful, as was an attempt to assassinate the king as he was taking a dip in the Thames. The theft of the royal regalia was similarly botched. Pursued by the guards, with the crown, globe and sceptre stuffed under their clothing, he and his accomplices were promptly arrested. Yet in terms of outcome the botched robbery was his one big success. Refusing to speak to anyone except the king himself, he admitted to all of his conspiracies and warned the king that he had many friends who would ‘expose his majesty … to the daily fear and expectation of a massacre’. On the other hand, were he free to use his experience in the spying profession as a secret agent for the royal administration, he could prevent such attacks. And his arrogance prevailed. Charles was won over and accepted his offer. Blood lived in comfort on a generous royal allowance for another decade. Whether his services were of any use is not known. The Labour Party, led by Tony Blair, won the British general election by a landslide, ending eighteen years of Conservative rule. Shane O’Neill of Tyrone was heavily defeated by Hugh O’Donnell at the Battle of Farsetmore, near Letterkenny, Co. Donegal. At Loughgall, Co. Armagh, an eight-man IRA unit, about to attack the local RUC station, was wiped out by a 36-man SAS unit. It was the IRA’s greatest single loss of life in the recent Troubles. A passing civilian was also killed. ‘Devolution Day’ in Northern Ireland. DUP leader Ian Paisley and Martin McGuinness (SF) took office as first minister and deputy first minister respectively in a restored Northern Ireland Assembly. Belfast-born Dr David Walker, who served as surgeon, naturalist and photographer on Captain F.L. McClintock’s 1857–9 expedition to the Arctic in search of Sir John Franklin, died. John Masefield (88), poet, notably of ‘Sea Fever’ (1902), writer and Poet Laureate since 1930, died. The first of the alleged apparitions of the Virgin Mary to three shepherd children near the village of Fatima, Portugal (to 13/10/17). Robert Nairac (29), a military intelligence officer, was abducted from a public house in south Armagh and killed by the IRA. Bertie Ahern became the first taoiseach to address the Westminster parliament. Dr Noel Browne, radical politician who was forced to resign as minister for health from the first Inter-Party government in April 1951 over opposition to his ‘Mother and Child’ scheme, died. His autobiography Against the tide (1986) was an instant best-seller. Glasgow Celtic won the European Cup, defeating the favourites, Inter Milan, 2–1. All of their players were born within 30 miles of Glasgow. John Fitzgerald Kennedy, 35th president of the United States (1961–3), born in Brookline, Massachusetts, the second of nine children of businessman Joe Kennedy and philanthropist/socialite Rose Fitzgerald. 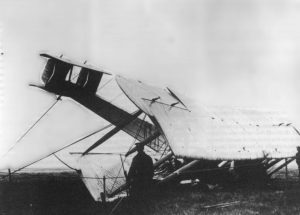 Above: The crashed Vickers Vimy biplane piloted by John Alcock and Arthur Brown in Derrygimla bog, near Clifton, Co. Galway. John Alcock and Arthur Brown, in a Vickers Vimy biplane, crash-landed beside the Marconi wireless station in Derrygimla bog near Clifton, Co. Galway, to complete the first non-stop transatlantic flight. Taking off from Newfoundland, they were assisted by favourable winds, sustaining themselves throughout with sandwiches and chocolate washed down with copious amounts of beer and coffee, to complete the 1,900-mile journey in sixteen hours and twelve minutes and claim the £10,000 prize offered by the Daily Mail for a crossing in ‘less than 72 consecutive hours’. It was a big day for the former RAF pilots, who were knighted a few days later by King George. It was a big day, too, for Tom ‘Cork’ Kenny, proprietor of the Connaught Telegraph. He famously got to the bog before the man from the Daily Mail, conducted the first interview with the pair and sold his scoop all over the world. His previous big story had featured the deaths of two RIC officers during the rescue of Seán Hogan by Dan Breen and Seán Treacy at Knocklong railway station, Co. Limerick, some weeks earlier. Both Alcock and Brown died prematurely. In the days when the life expectancy of even a peacetime flier was a mere four years, Alcock, aged 27, was killed just six months later when his plane struck a tree near Rouen in France. Brown went on to work in the burgeoning aircraft industry but never got over the loss in an air crash of his only son while serving with the RAF in June 1944. He died in 1948, aged 62, from an overdose of barbiturates. Shane O’Neill of Tyrone and some 50 of his followers were massacred by the MacDonnells of Antrim. The Six-Day War began, in which Israel heavily defeated Egypt and her Arab allies, capturing the Gaza Strip and the Sinai Peninsula from Egypt, the West Bank from Jordan and the Golan Heights from Syria. The start of the Battle of Messines Ridge in West Flanders, in which men from the mainly nationalist 16th (Irish) Division and the unionist 36th (Ulster) Division successfully cleared German forces from the high ground around Yprés. Captain Willie Redmond (56), MP for East Clare since 1891, younger brother of Irish Parliamentary Party leader John Redmond, was fatally wounded. The Butte, Montana, mine disaster: 168 died, including many Irish, when fire broke out in a mineshaft. Butte was the US’s foremost mining town at the time, with a population of 50,000, a quarter of whom were Irish, mostly from County Cork. Spencer Treacy (67), acclaimed Hollywood actor who won consecutive Academy Awards for Best Actor in Captains Courageous (1937) and Boy’s Town (1938), in which he played the role of Roscommon-born Father Edward J. Flanagan who founded the famous home in Nebraska for delinquent boys, died. Richard Lovell Edgeworth (73), landlord, writer, inventor and father of the novelist Maria Edgeworth, died. 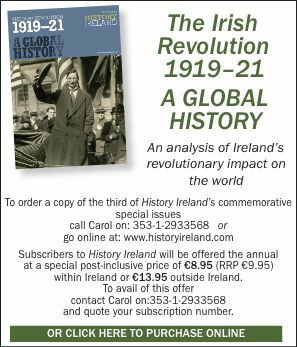 The remaining 120 Irish political prisoners, including Éamon de Valera, Eoin MacNeill and Countess Markievicz, who were jailed after the Easter Rising were released. In a referendum in the Republic of Ireland over 69% voted to accept the Maastricht Treaty. Clan na Gael, a secret oath-bound organisation, was founded in New York by Jerome Collins, meteorological and science editor of the New York Herald. The first of over one million troops of the American Expeditionary Force (AEF), under General John J. ‘Black Jack’ Pershing, arrived in France.